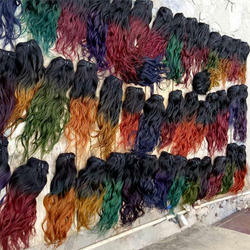 Leading Exporter of hair extension, two tone human hair and remy hair extension from New Delhi. Our firm is a primary name, engaged in offering an elite range of Hair Extension. The offered hair is made by our experts using the optimum grade raw material that is procured from industry approved sellers. Offered range is extremely admired in the market due to their elite color combination, long lasting nature and color fastness. Furthermore, we offer this hair to our customer at reasonable prices. 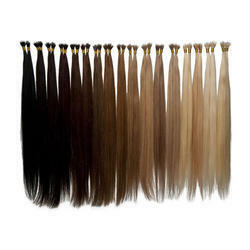 In order to complete the varied necessities of our prestigious patrons, we are occupied in offering a fine-looking range of Two Tone Human Hair. This hair is made by our experts, using the optimum quality raw material that is procured from trustworthy sellers of market. We are specialized in of Remy Hair Extensions in Natural colors Black & Brown in Remy Single Drawn, Machine Weft, Hand-tied Weft (8 thread), Hand Micro Weft (3 thread), Brazilian hair, Double Drawn, Jet Black Color Hair, 613 Blonde White Bleached Colors in Bulk hair & Machine Wefts. 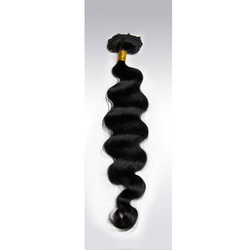 Looking for Remy Hair Extensions ?